In terms of standard equipment and technology, the SportLine builds on the already highly-specified SE model, but adds Amundsen satellite navigation with 8-inch touchscreen display and integrated Wi-Fi, Infotainment Online (one year), Light assistant (coming home, leaving home, tunnel light) and rain sensor. In the cabin, SportLine customers benefit from sport seats and upholstery, a black headlining and a Super sport three-spoke leather multi-function steering wheel (with paddles if specified with DSG). The Octavia SportLine is available in both hatch and estate body styles, and can be specified with two engine options; a 1.5 TSI petrol engine that generates 150PS or a 2.0 TDI diesel that also produces 150PS. The latter is equipped with a seven-speed DSG gearbox as standard while the 1.5 TSI unit can be specified with either a six-speed manual or a seven-speed DSG. Prices for the new Octavia SportLine models range from £23,870 OTR for the 1.5 TSI 150PS manual hatch, to £27,860 OTR for the 2.0 TDI 150PS DSG estate variant. 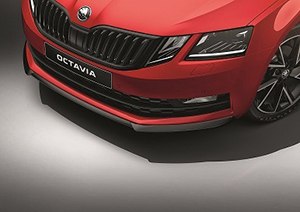 All Octavia SportLine models are available to order now, with first deliveries expected in April. I've a great engine workshop manual in PDF if you want it - PM me your email address and I'll send it over. OK mate thanks for that. Fingers crossed I've just not plugged it in right and I won't need to do it. Re: Could the new EU emission spell the death of the SQ7, RSQ5 etc? Re: Door connector details anybody? Boot actuator is weak, buy genuine or pattern? Get it scanned and report back. Ideally drive it and monitor live data for all wheel speeds.